The UK is a beautiful destination with so much to see and do. Cascading waterfalls, beautiful beaches and prehistoric monuments await. 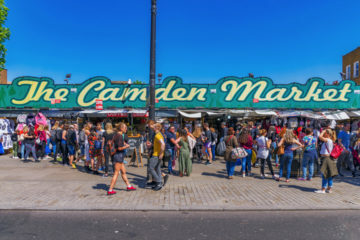 Here are the must-see places to add to your UK bucket list. It can be too easy to overlook the charms of your home country right? Though I love seeing and exploring destinations around the world, over the last few years, I’ve spent more time discovering different parts of the UK. 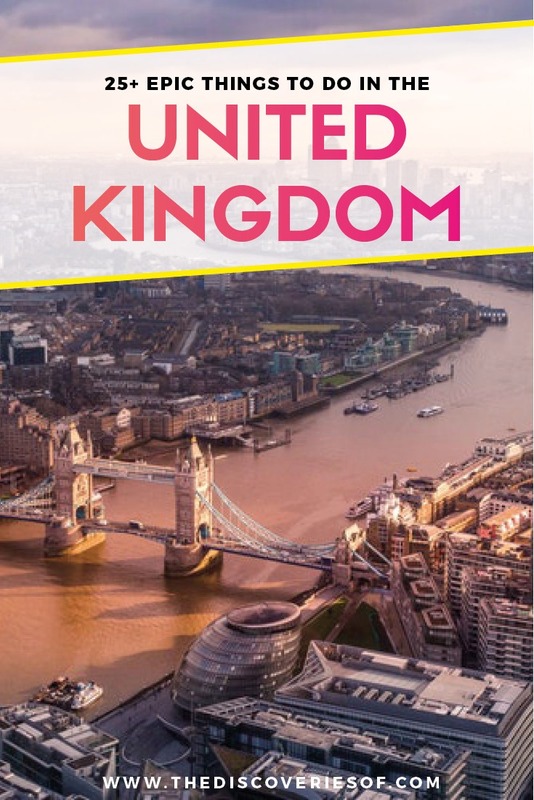 Looking for UK bucket list ideas for your trip? Here are 27 spots you shouldn’t miss along the way. Oxford is the UK’s most beautiful city, and no, I don’t give a toss what those folk down in Cambridge say. Exploring the city of the dreaming spires is one of the UK bucket list ideas that you should go and do asap if you haven’t already. I may be a bit biased (I went to Oxford University and spent three glorious years with it as my playground) but there are few places steeped in as much history and with as much charisma and charm as Oxford. 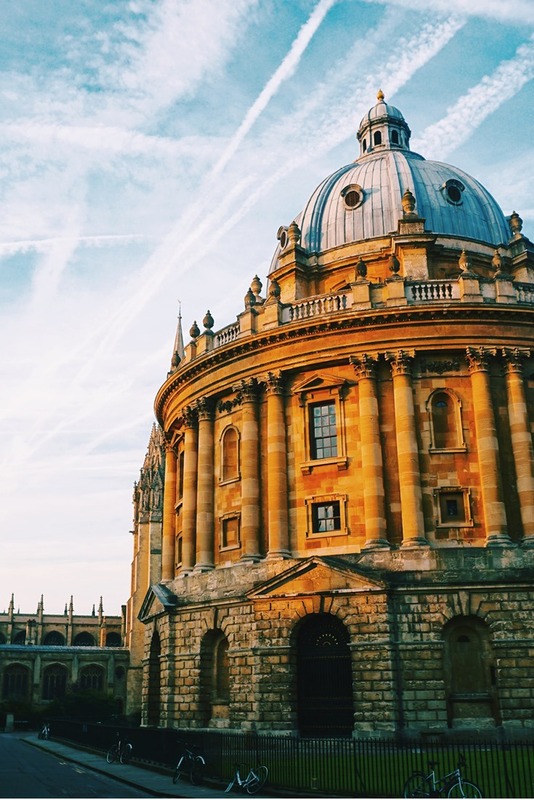 Make sure that you visit Radcliffe Square, home to the much-photographed Radcliffe Camera, spend some time in the Botanic Gardens and go punting on the river Cherwell. 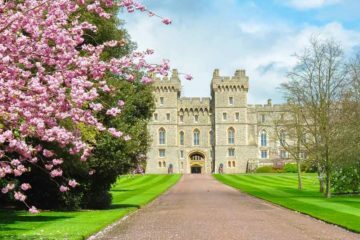 It’s home to the Royal Family and the Queen’s official London residence. What more do I need to say? Perched in a grand location overlooking St James’s Park, Buckingham Palace is an essential thing to do for anyone visiting London. Time your visit right and you can even book tickets to see the State Rooms, which are open for ten weeks in the summertime. Right, do you want the good news or the bad? The bad? Big Ben is currently being renovated and will be for the next few years, meaning that all but one of the faces of London’s most iconic clock will be covered up and the tower clad in scaffolding. Yeah, I did say it was pretty bad news. 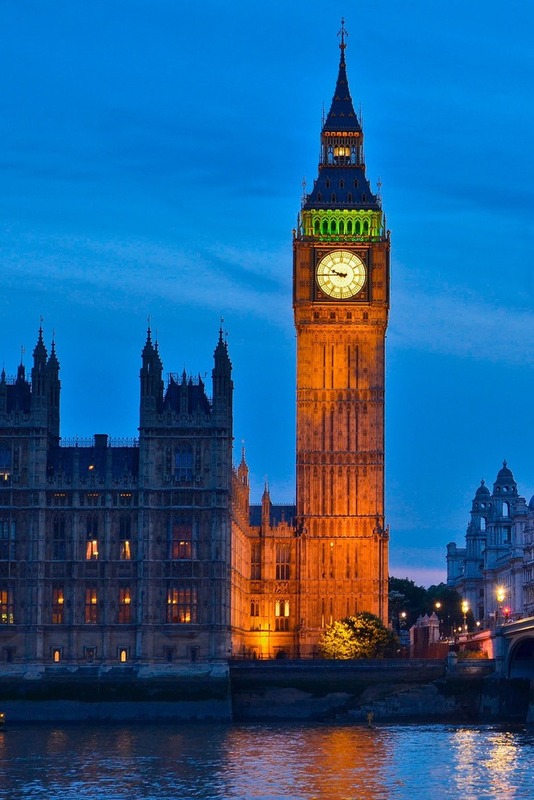 But the good news is that the Elizabeth Tower (Big Ben’s official name) is attached to our very own Houses of Parliament, where you can book yourself onto a tour, watch a debate and get right to the murky heart of British politics. It feels a bit like cheating to list a whole region as one of the must-try UK bucket list ideas but when you do visit The Lake District, you’ll understand why. I love the Lake District, with its chocolate-box cute villages and towns that give way to wild landscapes on a near-unbelievable scale. 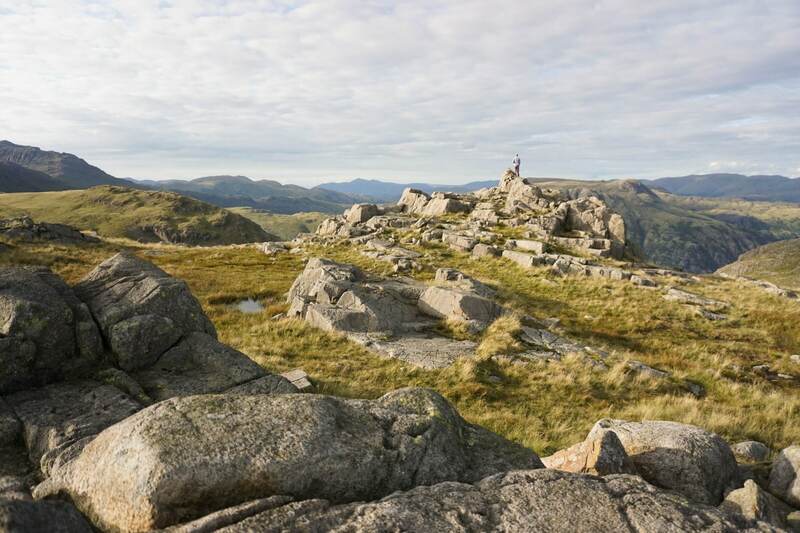 Spectacular landscapes, including England’s highest peak (Scafell Pike), come complete with miles and miles of public footpaths that practically demand you whip out your hiking boots to go and explore. The Thames Path winds its way alongside the River Thames for 184 miles from its source high up in The Cotswolds, down to the sea – passing through Oxford, Abingdon, The Chilterns, Henley, Marlowe, Staines and London along the way. It’s one of the UK’s most-appealing long-distance paths, thanks to beautiful scenery and relatively flat terrain. You can walk the whole of the path, which takes about two weeks, or you can break it down into as many day-long segments as you have the time for. 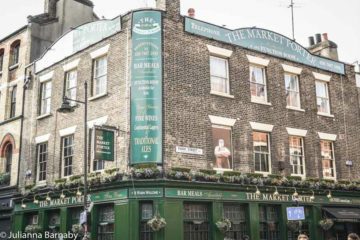 I walked the Oxford to London stretch a few years ago, which took about a week and a half – there are plenty of camping spots (or bed and breakfasts if that all sounds a bit too back to basics) and quaint English pubs for you to rest and refresh along the way. The Isle of Skye has a lot of beautiful sights, but the fairy pools are something special. 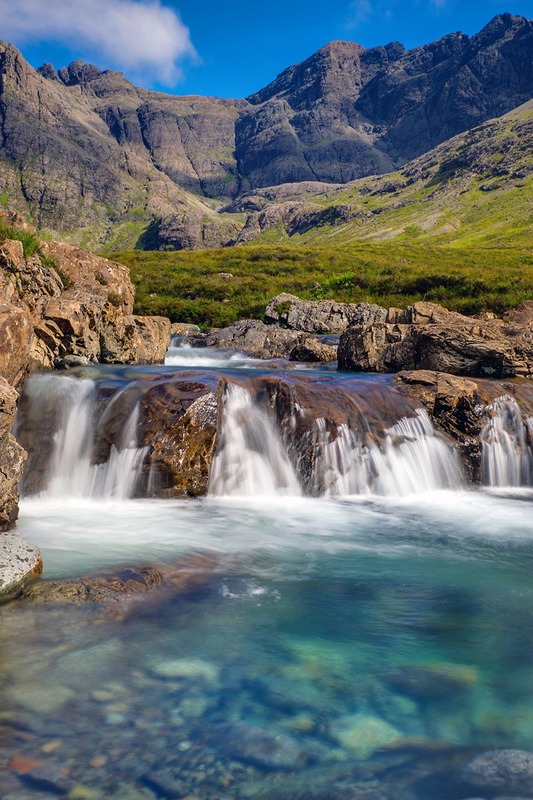 Located near the village of Carbost, visitors can walk 2.4km from Glenbrittle to the collection of crystal-clear pools, which are all connected by small waterfalls. If you’re feeling adventurous, you should definitely take a dip in the pools; but bring a wetsuit – it’s cold! 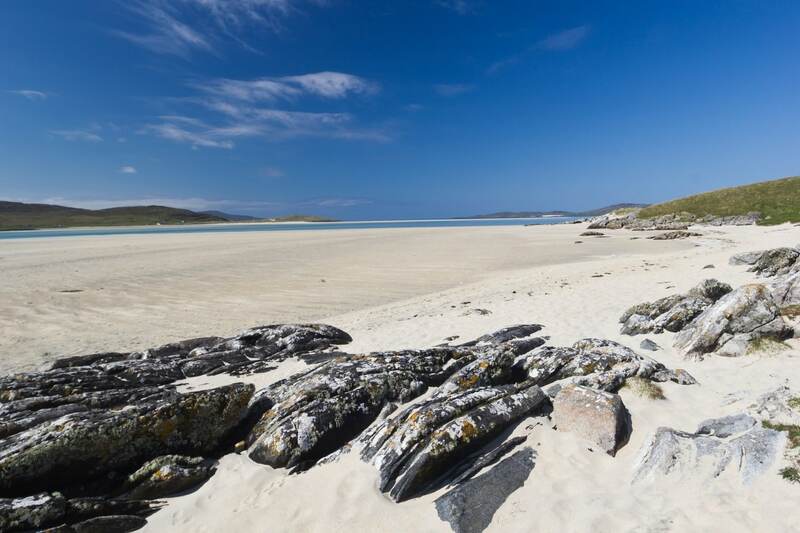 I know exactly what you’re thinking – how is this beach in Scotland?! With its white sand and azure waters, Luskentyre Beach has been named one of the UK’s best beaches in the TripAdvisor Traveller Awards and definitely deserves a place on your UK bucket list. So how exactly can you find this sandy paradise? Luskentyre beach is located on the Isle of Harris. It’s perched on the north-west coast of the island, and stretches over 3 miles from the sand dunes of the Banks to the Corran Seilebost sand split. Those wanting to take a dip, don’t worry about the temperature – the water is warmer than it should be, thanks to the Gulf Stream! This is coastal scenery at its finest. Spanning across the whole width of the UK, walking (or even just seeing) Hadrian’s Wall should be firmly on your UK bucket list. The wall marked the northern frontier of the Roman Empire – finished in 128AD, it was an active military wall for over three hundred years. That’s all very well and good, but why should you visit Hadrian’s Wall today? Well, it’s a badly-kept secret that the wall cuts its way through some of the UK’s most beautiful countryside – the perfect setting for the week-long walk alongside its path. 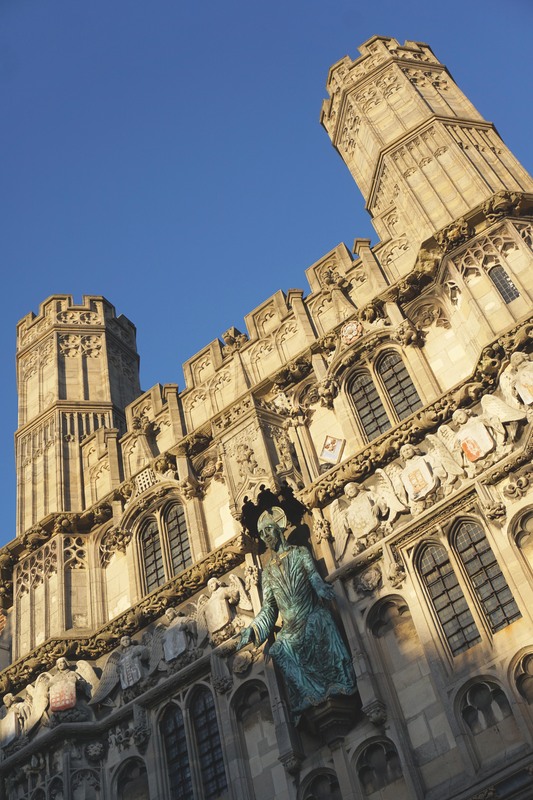 What do you know about Canterbury (other than the fact that it gave its name to Chaucer’s famous Canterbury Tales and it has a huge cathedral)? Not much? 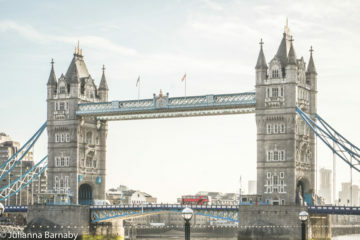 This small British city is full of history, intrigue and quaint spots – making it the perfect location for a day trip or long weekend from London. I’ll admit, I hadn’t spent much time in Canterbury until last year – but once I did, I fell in love with the striking architecture, age-old pubs and independent pubs, restaurants and markets at the heart of the city. I might have spoken slightingly of Cambridge earlier – the age-old rivalry between Oxford and Cambridge Universities practically demanded that I did so. That said, the UK’s second-best university city is a pretty lovely place to spend a weekend. Meander between the university’s prettier-than-possible colleges, perched on the edge of the River Cam, before hiring a punt, and setting off downwater, a glass of Pimms and a dainty picnic in tow. Love history? Love museums? You can’t miss The British Museum. I’ll admit, the first time I visited The British Museum at the grand old age of seven (thanks school), I thought it was a bit of a bore. In fact, I think you could have summarised my views as “eight million bits of old stuff and no toys”. Thankfully, I’ve grown to appreciate the museum A LOT more as the years have gone by and it’s now one of my favourite spots to spend the day in London. Eight million pieces dedicated to human history from around the world = one must see spot on your British bucket list. When it comes to bucket list ideas for the UK, Micheldever Wood should be at the top of your list. 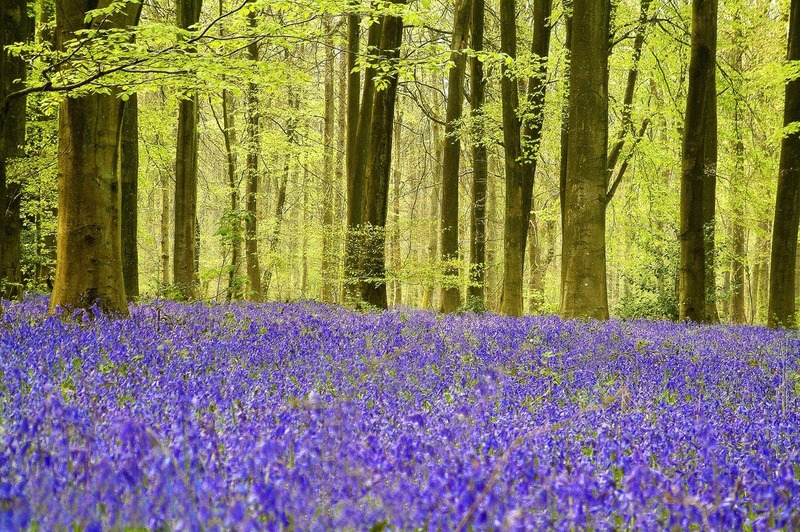 Known as the ‘purple carpet’, Micheldever Wood is truly one of the UK’s most beautiful sights, especially for the nature lovers among you. So how did it get its mysterious name? Micheldever is a large and maturing beech wood, which erupts in a stunning carpet of bluebells as far as the eye can see during the spring. Bring your camera along, you’re going to want to take a picture (or twenty). Micheldever isn’t all bluebells though. Take a visit to the woods and you might be able to spot roe deer, fallow deer and even several archaeological sites which contain Bronze Age Earthworks. I’m fully obsessed with Cornwall, having just got back from yet another trip to this beautiful part of the UK just yesterday. There’s so much to see in the area, including a number of spectacular beaches such as Porthcurno Beach. Porthcurno Beach is an award-winning beach about 3 miles east of Land’s End on the south coast of West Cornwall. 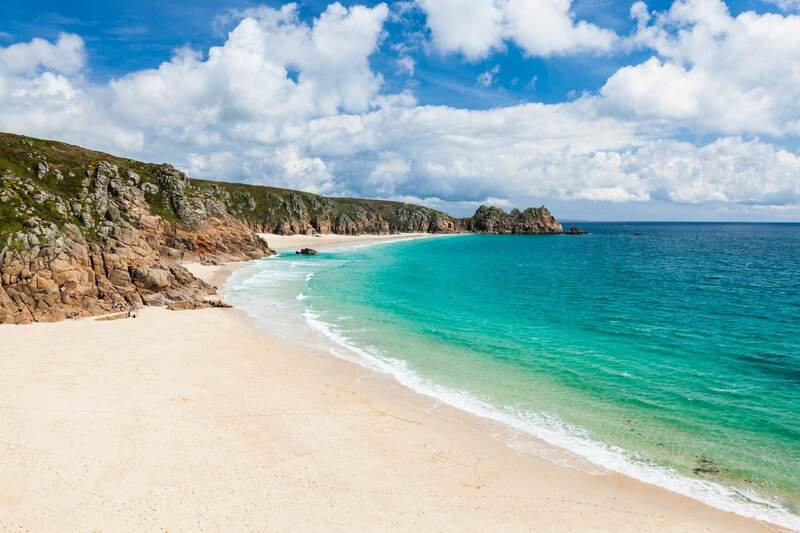 Porthcurno is both a popular family beach, with a stream at the top ideal for children wanting to paddle, and also a place sought out by more experienced swimmers, attracted by its steep shelves. With its fine white sand and clear turquoise waters, it is easy to see how this is described by some as a paradise. 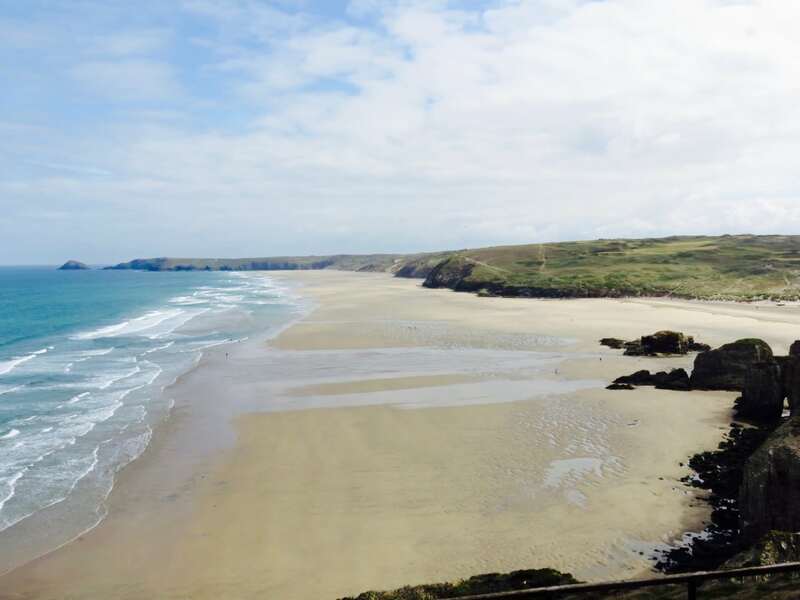 Looking for more beach destinations in the UK? Check out our guide to the best British beaches for your summer break. 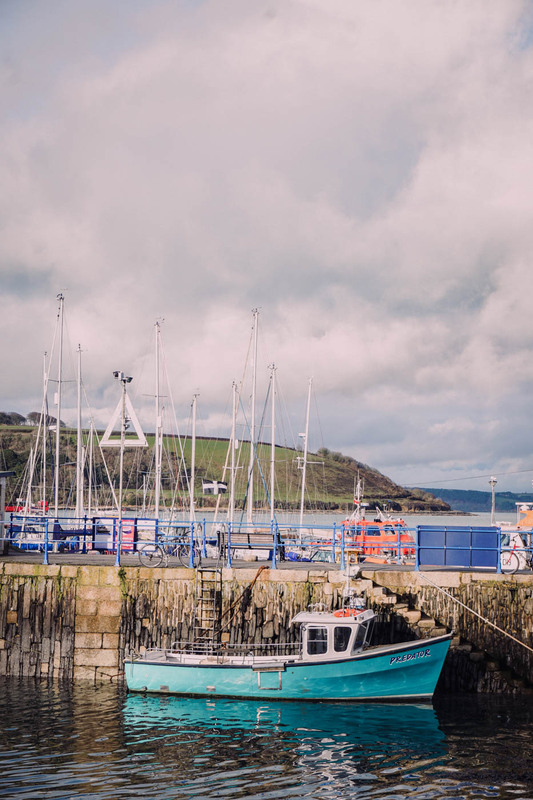 Full of maritime history and based around a picturesque harbour, Falmouth is one of Cornwall’s not-so-secret treasures. Creative, quirky and artsy, this is one of my favourite spots in Cornwall thanks to its gorgeous natural setting and mix of cool art galleries, bars and restaurants. Start your day with a visit to Falmouth’s National Maritime Museum and Falmouth Art Gallery, before setting sail for a boat tour of the harbour. Fuel up with a hearty and tasty lunch, complete with harbour views in The Chainlocker before heading out of town to the absolutely gorgeous Trebah Gardens. Wind down the day with cocktails, cheese and charcuterie in the gloriously wacky The Chintz Symposium before turning in for the night. Newquay is Cornwall’s adventure sports playground. Situated bang on the South West Coast Path (more on that anon), the town is packed with surfer beaches, beautiful hikes and cool yoga studios. Locals love spending time outdoors – and who can blame them? Newquay is blessed with year-round swells that make it one of the UK’s prime surfing spots, not to mention the miles of hiking and running paths leading straight out of town along the windswept coast. 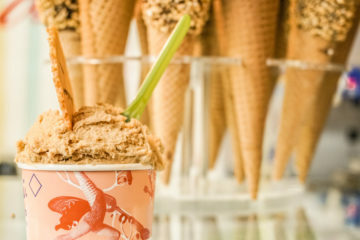 Book a class at a local surf school, spend some time exploring the town and take a yoga class with a view before settling in for a cocktail or two at Tom Thumb cocktail bar. The birthplace of Shakespeare and a pretty cute town to boot, there’s a reason that Stratford-Upon-Avon makes its way onto many visitors list of places to see in the UK. Now, I like wandering around Stratford-Upon-Avon as much as the next person, but if you really want a UK bucket list idea worth remembering, you should book yourself a ticket for a play at the Royal Shakespeare Company (RSC). Despite the name, the theatre stages a range of plays from a number of playwrights (unsurprisingly, it’s pretty heavy on the Shakespeare though) – featuring some of the darlings of the British stage. It’s always worth trying the box office for tickets on the day if you haven’t managed to book in advance. 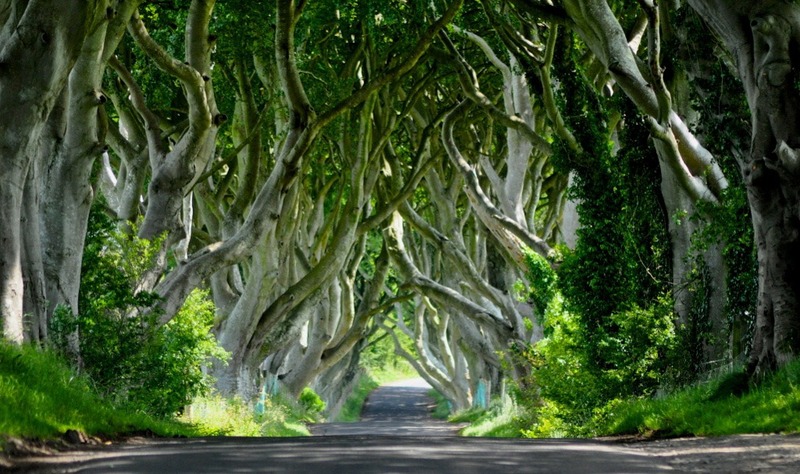 The Dark Hedges is a 200-year-old beech tree tunnel, located in Ballymoney in Northern Ireland. The trees were initially planted in the 18th Century by the Stuart Family to impress visitors on the route up to their mansion. Today, they are one of the most photographed natural phenomena in the UK. Architectural Digest even placed the hedges at number 7 in the top 10 most beautiful streets in the world. Obsessed with Game of Thrones (OMG, who isn’t)? You might have noticed that The Dark Hedges are one of the many Northern Irish spots that crop up in the TV series (it’s the setting for The King’s Road). Just another reason to add the Dark Hedges to the top of your UK bucket list. Forget Route 66, it’s all about North Coast 500! What is the North Coast 500 (or the NC500 for those in the know)? 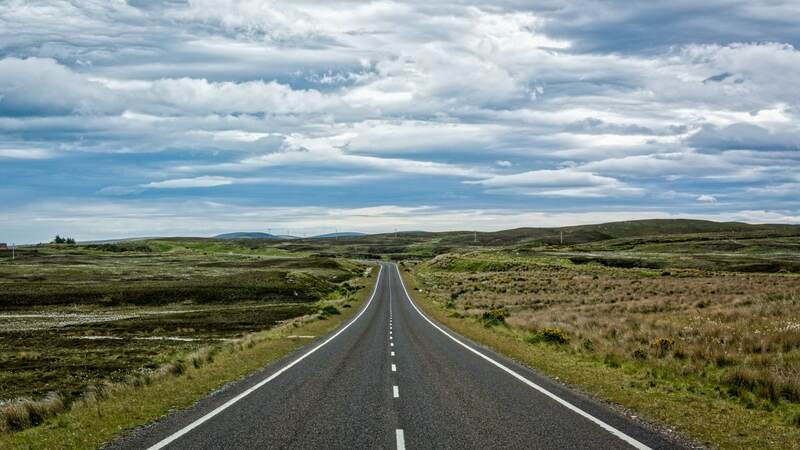 Well, it’s a route just over 500 miles long that follows the main roads of the coastal edges of the Northern Highlands, taking you round villages and towns such as Ullapool, Durness, John O’Groats, Dornoch and Inverness. Oh, and it also contains some of the most picturesque scenery found in Europe – no biggie or anything. Showcasing everything from secluded beaches to historic lochs, castles to wildlife, and mountains to artisan distilleries, you can maybe see why the NC500 has been named as one of the best coastal road trips in the world. Why stick to the UK? Here are 15 awesome adventures you must experience once in a lifetime. 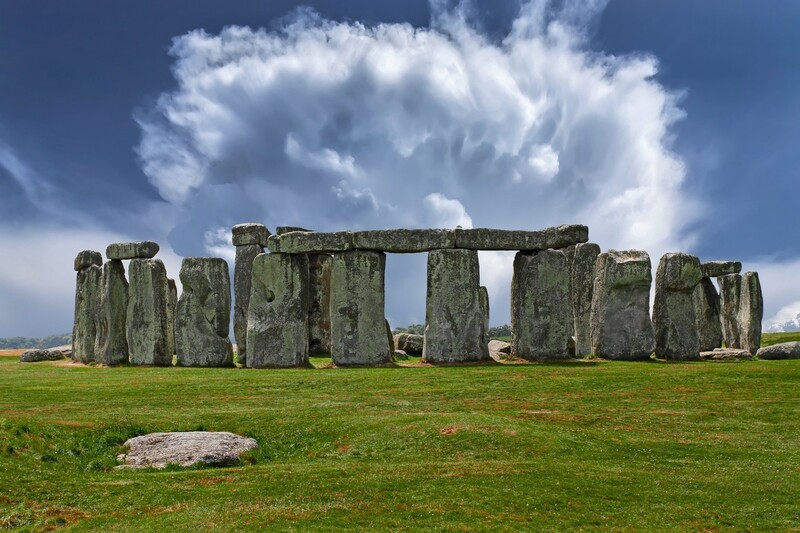 Stonehenge, located 2 miles west of Amesbury in Wiltshire, England, is one of the wonders of the world and is also the best-known prehistoric monument in the whole of Europe. First, an early henge monument was constructed 5000 years ago, and then the unique stone circle was later built in 2500BC. It is one of the most famous landmarks in the UK, with each standing stone around 13 feet high. Portmeirion is a colourful and quaint village in Gwynedd, North Wales. It was designed and built between 1972-5, with the intention of resembling an Italian village. While it may look like Positano, it actually overlooks the Irish Sea! Perfect for families, this unique coastal resort has hotels, cafes, shops for its visitors. 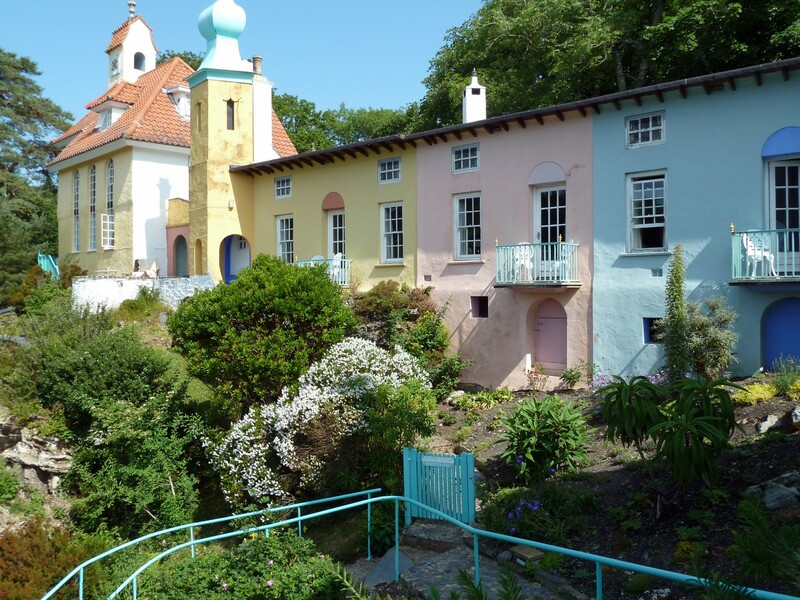 The explosion of colours, dreamy Italian architecture, and abundance of beautiful flowers and palms ensure that Portmeirion should be somewhere that is on your bucket list. Fingal’s Cave is a sea cave, located on the uninhabited volcanic Isle of Staffa, south-west of the Isle of Ulva. 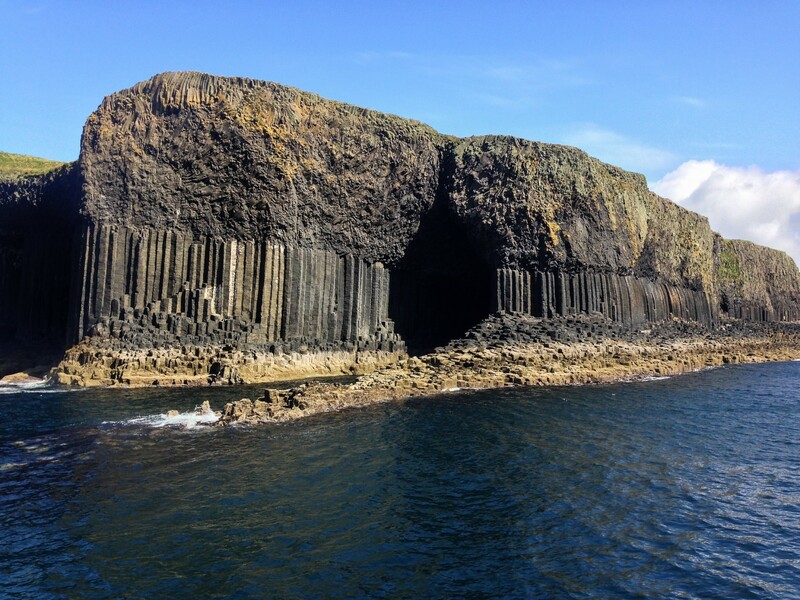 Discovered in 1772, the cave is made up of angular columns that create melodious acoustics from the waves, and was known to the Celts as ‘The Cave of Melody’. Weather and waves permitting, boats can enter this surreal place, that has been an inspiration to everyone from Queen Victoria, Jules Verne and Pink Floyd. 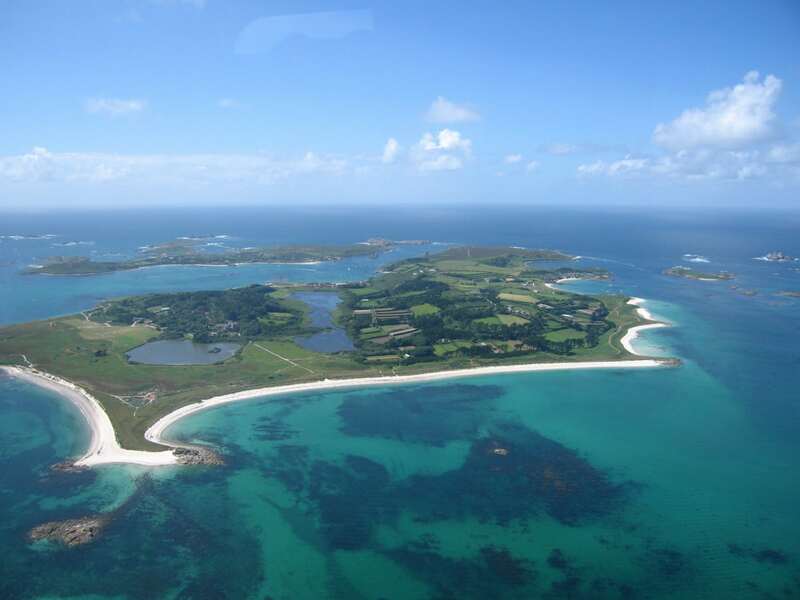 The Isles of Scilly are a collection of islands that lie just off the coast of Cornwall. There are 5 inhabited islands and countless uninhabited ones to explore. The golden sands and clear, azure waters make the beaches on these islands (such as the Great Bay on St Martins) resemble that of the Caribbean. With the island’s incredible ancient history and archaeology, amazing wildlife and delicious local seafood, the Isles of Scilly are a place like nowhere else in England. I said that we would come back to the South West Coast Path! At 630 miles, the South West Coast Path is England’s longest waymarked footpath, running from Somerset through the coasts of Devon and Cornwall, to Poole Harbour in Dorset. 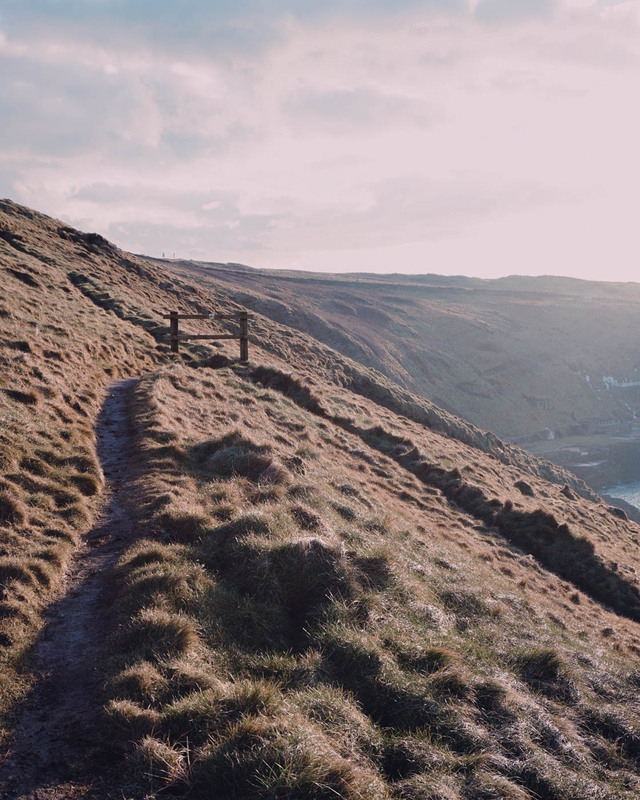 Whether you’re taking an afternoon stroll or hiking the entire South West Coast, you will be mesmerised by the inspirational and unparalleled views of the sea, coast, heritage and wildlife surrounding you. 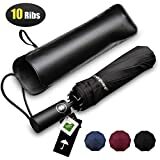 This is one for the hikers and skiers out there – The Cairngorms are a mountain range in the Highlands of Scotland, which form part of the Grampians mountain range. Best to visit in winter, skiers travel to Lecht and Glenshee for their deep and powdery snow. 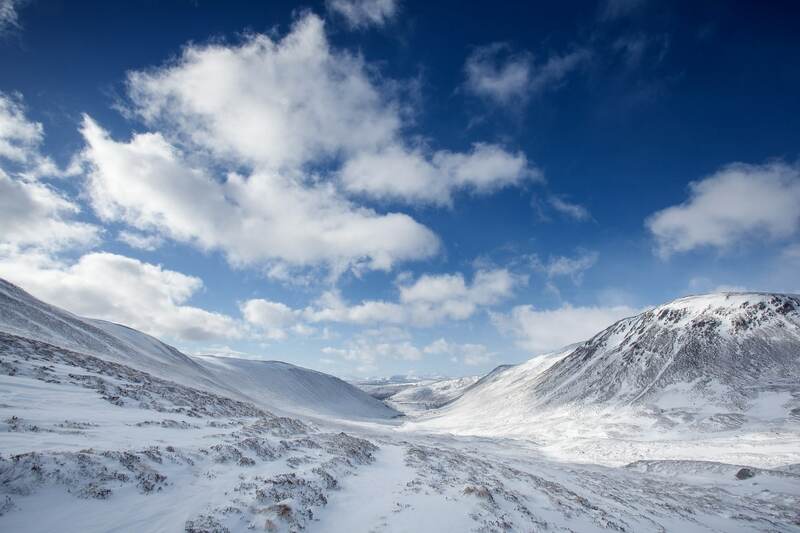 The stunning mountainous scenery and challenging terrain make the Cairngorms a perfect Alpine adventure playground, without the crowds or prices of their European counterparts. 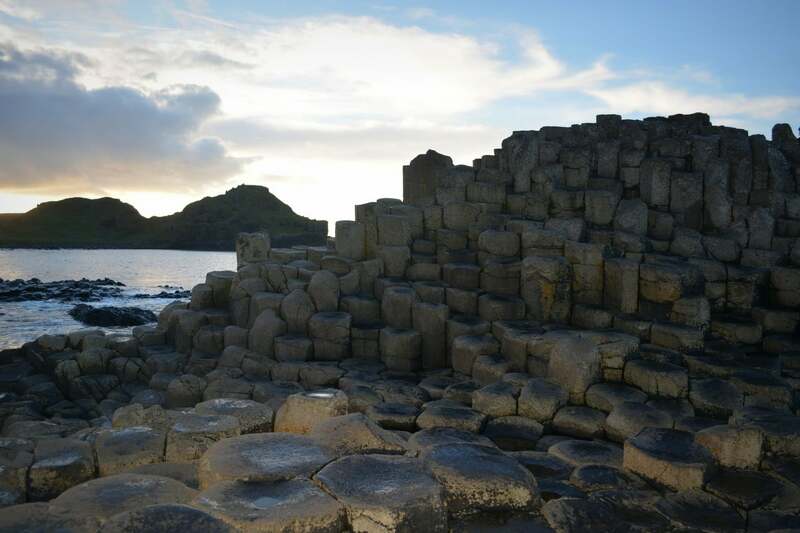 The Giant’s Causeway is located off the coast of Antrim and formed of 40,000 basalt columns, Whilst science affirms that the rocks were the result of a volcano eruption, the site has a strong sense of mythology. Legend has it that the columns are a causeway built by a giant, constructed so that Irish and Scottish giants could meet and fight. Famed for its dramatic cliffs and fascinating history, this is a must-see place to visit. Snowdonia is a mountainous region and a national park in Wales, and the view from the summit of the region has been voted as the best view in the UK. While some may think that Snowdonia is just a place for walkers and hikers, there are a multitude of other activities, such as cycling, canoeing, fishing, with additionally many photographers and artists immersing themselves in the spectacular scenery. 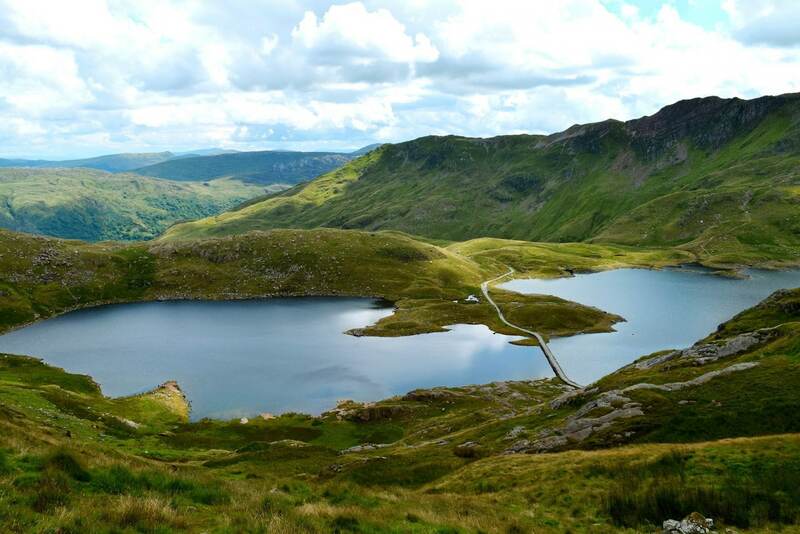 With so much to do and the best view in the UK, Snowdonia is somewhere you can’t miss. 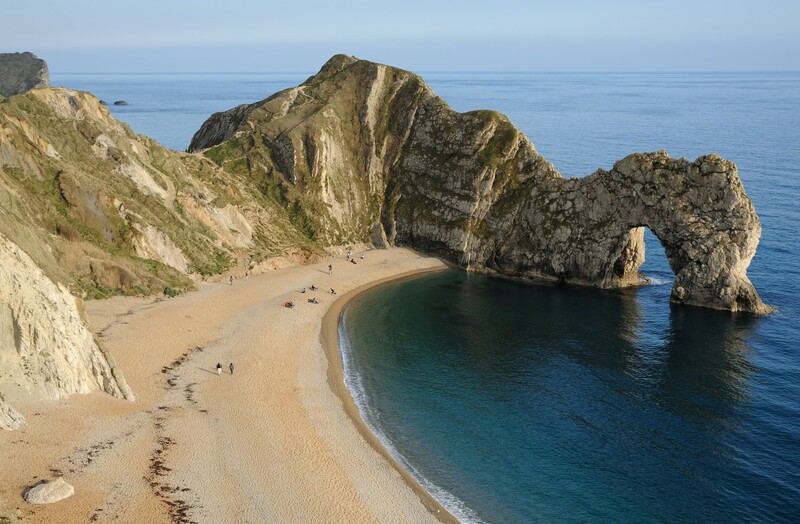 Durdle Door is a stunning natural limestone arch, situated on the Jurassic Coast between Swanage and Weymouth in Dorset. Set in the beautiful Lulworth Cove, it has a sloping beach which is fantastic for sunbathing and snorkelling. It’s is a perfect place for a day at the beach – bucket and spade ahoy. Loud, proud and full of life, Brighton is only a hop-skip-and a big jump away from London (read less than an hour on the train). But what a contrast. Where our capital can be a bit prim and proper, Brighton is the epitome of beach-side cool. Thriving independent shops, a world-famous pier, the gorgeously OTT Brighton Pavilion, tattoo parlours, cocktail bars, pubs. If it’s not in Brighton, it’s not worth seeing. Or something like that. There we are, the ultimate UK bucket list? Have any more UK bucket list ideas? We’d love to hear your thoughts. Brilliant article! I never knew the UK had so many amazing places! Thanks Andrew, really glad you enjoyed. Hope you have fun exploring them at some point! UK, here I come. Thanks for sharing these destinations! Great places!! Portmeiron looks beautiful! I would also add Puzzlewood in the Forest of Dean to this list – such a cool place & where Star Wars and Merlin have been filmed! Great suggestion! Thank you – it’s high on my list to visit. Super selection! When making such a list, some places sadly get left off in the interests of brevity. My selection would add Yorkshire (lots of places there to choose) and just mention that Wiltshire is more than just Stonehenge – Avebury, Silbury Hill, Kennet longbarrow are only a short distance from Stonehenge. You have stimulated my wanderlust. I really must get to some of the more outlying places. Thanks Trevor – great suggestions! It’s so hard to choose but love the place you’ve mentioned, I’ll add them to the next update. I have always wanted to go to Stonehenge. I have planned twice but both the times the plan got canceled due to some reasons. Hopefully, I’ll make it there this time. I totally hope so too. It’s a magical place. Everyone must have the channel island of Jersey on their bucket list, its history, culture and overall beauty is unsurpassed anywhere in the UK, so much to see and do all within 45 sq miles, check it out you won’t be disappointed. Hi David – love Jersey but I think it’s technically not a part of the UK, though it is one of the British Isles. I’m not splitting hairs here – I wrote a piece on Jersey, where I referenced it as part of the UK and brought down a world of ire from the locals. But yes, I’d totally recommend! We are going on a 6 week tour of the UK from South Africa in May. I’ve just read your blog and it has really crystallized and prioritized our ideas of where we must go of what we want to see.